These awards recognize companies that not only demonstrate outstanding financial performance but also have built a strong corporate reputation over the years, creating value for shareholders, customers, employees and the general community. The companies within the Top 10 ranking are those that have proven their mettle through consistent, ethical, significant and sustainable growth, resulting in excellent business performance. Furthermore, the stringent criteria in place to select the Top 10 ensured that these awards are in line with reputed International Rankings. 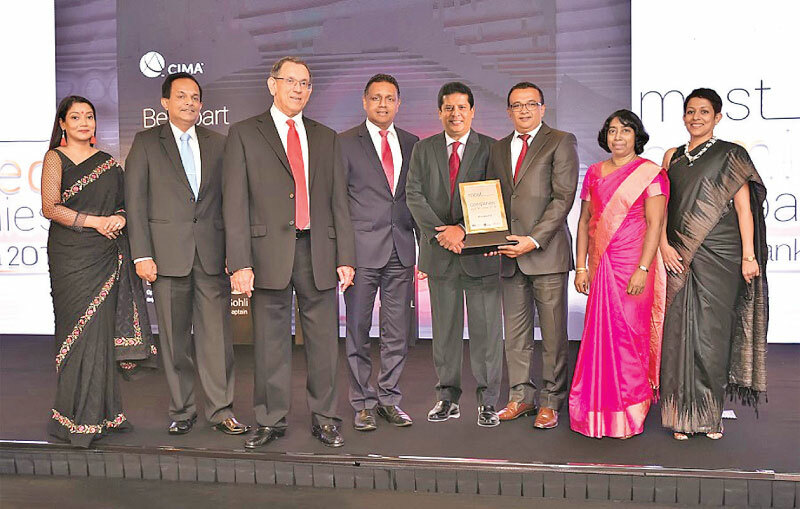 Commenting on the prestigious accolade, Royle Jansz, Chairman, DFCC Bank said, “It is an honour to be counted amongst the Top 10 Most Admired Companies in Sri Lanka, as this is a testament to the dedication of the people of DFCC, both past and present. It is their attitude towards the performance of their duties, placing the customer above all, caring about the environment, their colleagues and fellow citizens that sets DFCC apart.